Providing you the best range of industrial brake motors, customized brake motor, three phase brake motor, brake motor, geared brake motors and ac brake motors with effective & timely delivery. 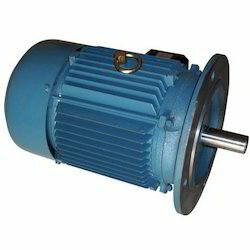 DHARANI Brake Motors - We manufacture a wide range of Industrial Brake Motors. Our products are always manufactured using very high-quality raw materials which provide these Industrial Brake Motors a super hard toughness and strength. These industrial brake motors which we have brought forth in the market have also been manufactured keeping in mind their compliance with industrial standards and hence are very much efficient in its functionality and durability. We are one of the prominent organizations, engaged in offering a wide range of Customized Brake Motor. These compact designed devices are acclaimed for their longer functional life, accurate dimensions and consistent performance. Our devices are widely used for various industrial applications. These are available with us at market leading rates. Keeping in mind the precise demands of clients, we offer a wide range of Three Phase Brake Motor. These compact designed devices are widely demanded owing to its robust construction and consistent performance. Our devices find their wide application in various industries. These can be availed in various ranges. We are engaged in the manufacturing and supplying of high quality Brake Motor.These motors are manufactured in accordance with industry laid specifications, using premium quality metal that is sourced from trustworthy vendors. Known for their hassle-free installation, optimum performance and minimum electricity consumption, offered motors are used in lifts, cranes, winch and hoists. Wide range from fractional HP to 40 HP. All motors supplied by us are TEFC (Totally Enclosed Fan Cooled) Motors. Factory fitted and aligned brake motors. The brake mounting provision is inbuilt and no modifications are carried out on the motors by us. Hence the full warranty of the motors is intact and the motors come with full factory fitting and dynamic balancing. Wide range of motor brands to choose from. Choice of the the latest and most advanced AC and DC fail safe brakes available in India. Crane Duty, Continuous Duty or dual speed motors can be offered. Manual release provision provided with all motors. Widely used many applications such as conveyor systems, EOT cranes, Electric Chain Pulley Hoists, Hoists, Elevators, Packaging Machines, Construction machines like bar bending machines, goods lifts etc. We are instrumental in supplying good quality ACBrake Motor to our prestigious customers. These are highly demanded products and appreciated for their application oriented features. Offered products are available in various models at reasonable prices. AC Brake Motor are highly acclaimed for their easy installation and low maintenance. These offered Flange Mounting Brake Motors units are supplied in the market in the compact frame and different specifications based on advanced mechanical engineering. 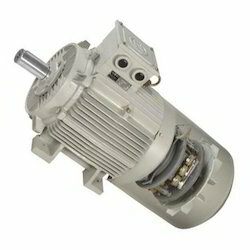 These motors are reliable in nature and require less power to work optimum. 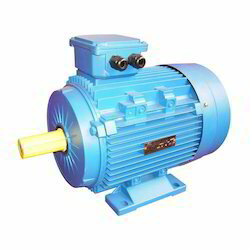 Additionally, customers can avail these motors from the market at nominal price. 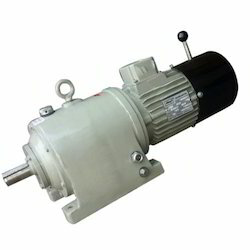 We are the manufacturer, supplier of DC Brake Motor With 190 Volt DC Brake.